A Bricks 4 Kidz school tour takes learning out of the pages of the textbook and into an imaginative, 3-dimensional, hands-on learning experience! A Bricks 4 Kidz school tour takes learning out of the pages of the textbook and into an imaginative, 3-dimensional, hands-on learning experience! Use the LEGO® bricks your students already know and love to get them excited about learning. 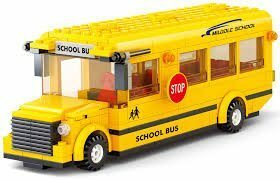 A Bricks 4 Kidz school tour is a fun-filled, engaging experience that kids will be talking about long after the fun and learning has ended.